This has a staggering economic impact for the governments of EU and US they cost over 2 trillion dollars annually and growing. Secondly, the average cost to develop a new drug for brain disease has been increasing, currently 2.6 billion dollars. A big part of this is due to the huge number of failures. 85% of these new drugs will never reach the shelf. Essentially, because there hasn’t been a way to look inside the living brain without causing any harm to the patient. A major problem with the the development of drugs is the way in which its efficacy is tested. In animal trials they still use mice in a maze to see if they have a decrease in the time it takes to find the food compared to the control animals. While in humans it’s based on subjective questionnaires or simplistic exercises. For someone with Parkinson’s they ask questions such as ‘how did you sleep last month?’ or ‘have you had an increase or decrease in tremors’? These are very subjective questions both for the patient and the doctor. Everybody views their experience in a different way. And often patients report ‘feeling better’ just because they think they are taking medication that helps while in fact they are just under the ‘placebo effect’. Obviously, this is extremely flawed way of evaluating a new drug. However, we live in exciting times of technological discoveries. MRI scanners are extremely powerful machines that takes images of the inside of the body without any harm for the subjects. However, MRI has been massively underused for the brain. MRI acquires lots of information. You can think of MRI as cameras that takes hundreds of photos of the brain in black and white. But until now specialists still just look at one of these black and white 2d images, and still have a subjective and qualitative opinion about them. Computational tools are needed to make sense out of this complex data. The machines are not the problem. The problem is the lack of advanced software to analyze and quantify the data. Mint Labs came up with the solution for this. Mint Labs develops a cloud based platform for the integration and quantification of complex imaging data. Mint Labs proposes a unique cloud platform that integrates neuroimaging, clinical scores, genomics, and other data all in one place. It brings advanced and proprietary computational tools right into the hands of the specialists, in a very simple way, and very accessible, all through the browser. Mint Labs is a research partners with its clients, working closely with them, so this builds up a relationship and raises an important barrier for its competitors. Mint Labs starts by being research partners with the key researchers and specialists that are working in understanding brain diseases and are developing new therapies. Mint Labs helps them by integrating and sharing all their data and providing the tools to analyze it. Mint Labs then starts accelerating pharma, by handling preclinical data (with animal data); and afterwards by handling the analysis of all the patient’s images and data. Mint Labs improves clinical trials from testing on a healthy volunteers to testing on a large group of patients, by giving the quantification tools, so they evaluate if the treatment works, and to which patients it works the best. And Mint Labs bring this in a straightforward SaaS model, where there’s no upfront payment or maintenance of any software. Mint Labs simply charges for the storage of the data, and a fee for processing it, depending on the stage: if its basic research, preclinical trials with animals or clinical trials with humans. Mint Labs’ platform is up and running. In less than 1 year they already have 90 users in the platform, growing at 30% month over month, 10 major spanish hospitals working closely with them. 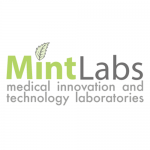 Mint Labs recently moved to the US, and they already have 5 major hospitals as pilot centers. 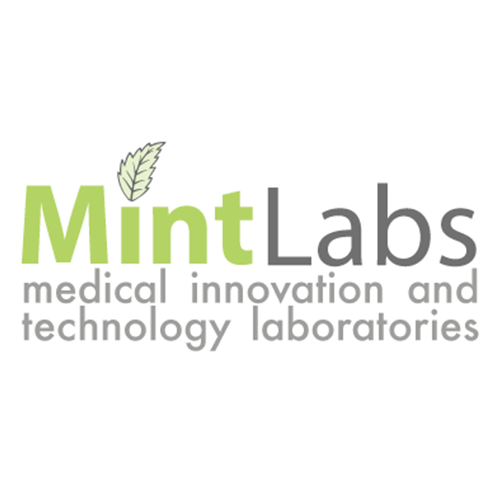 Mint Labs have started to work with one of the major pharmaceutical companies in the world. Mint Labs has more than 11.000 scans, from a bit more than 2100 different digital ‘brains’. And they also have established great partnerships with several leading research centers, and new companies working on new technology like holograms, or touchless interaction, but also with cloud providers like Softayer or Google. Being partners with Google allows Mint Labs to have virtually infinite resources for storage and computing and therefore global scaling is easily achieved. At the moment, Mint Labs is focusing just on AD, PD and MS, with an addressable market of over $55 billion dollars, in EU and US alone. The other players in the field, have an older or simpler solution. And actually they are more of potential partners than competitors. We are in exciting times of Big Data, and especially of medical data, and analytics. For instance DNAnexus is a company doing genomic analysis in the cloud, fastly growing with the support of Google Ventures. And it’s not with a surprise that big companies such as Google or IBM are moving aggressively into this imaging and data analytics market. Behind Mint Labs is a team of experts in neuroimaging. They have been working on this field for more than 9 years. Both co-founders are PhDs in neuroscience and neuroimaging. They lead a balanced team combining experience not only in science and IT but also in sales and business management. They combine expertise in neuroimaging with the experience and knowledge of advisory board members in pharma and medtech industry, as well as neurologists experts in new therapies for the different brain diseases. Just 15 years ago the human genome project started. And since then there has been an incredible amount of genetic data being sequenced. The ROI for each dollar invested is $178. Right now the same thing is happening in neuroscience. Now is the time to invest in the brain, and truly make an impact in the patients’ and their families’ lives ! This entry was posted in Biotech Companies, Biotech Companies Spain, Biotech Companies USA, Biotech Crowdfunding and tagged cloud, crowdfunding, Mint Labs, Mint Labs - neuroimaging in the cloud, Mint Labs Crowdfunding, MintLabs, neuroimaging, neuroimaging in the cloud, Parkinson by Biotech365. Bookmark the permalink.